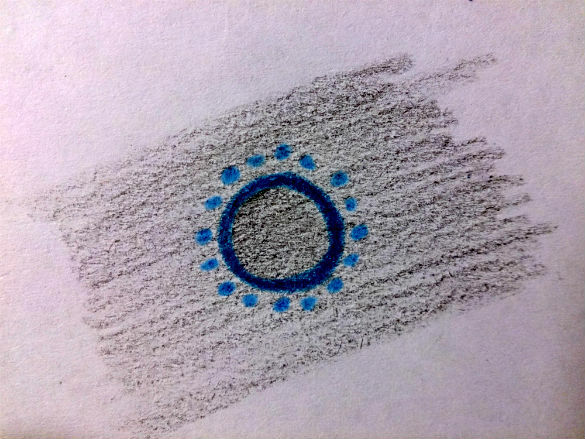 A witness in Ruidoso, New Mexico claims to have spotted a black disc-shaped UFO rimmed with blue lights near Ruidoso, New Mexico, according to a report submitted to the Mutual UFO Network (MUFON). The witness provided a couple of drawings illustrating what was seen. I was looking at the night sky, when suddenly a black disc with dim blue lights on the edges came across the night sky incredibly fast. It made no sound, and it dissapeared [sic] behind the horizon. 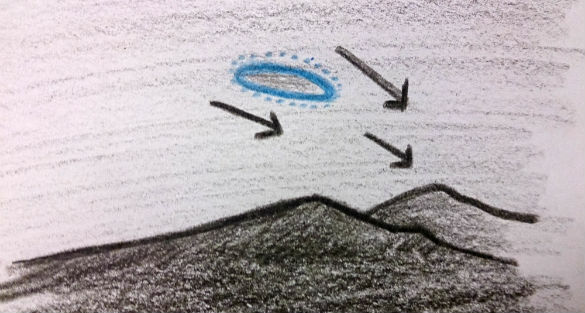 This UFO was moving extremely fast, as it only took 2 seconds to cross the entire sky. Satellites and other objects, such as the International Space Station can be very bright and move at a quick steady pace across the sky, but these objects do not appear to be disc-shaped, nor do they have a ring of blue lights around them. If the object did appear the way this witness has described and drawn it, it would be mysterious indeed. 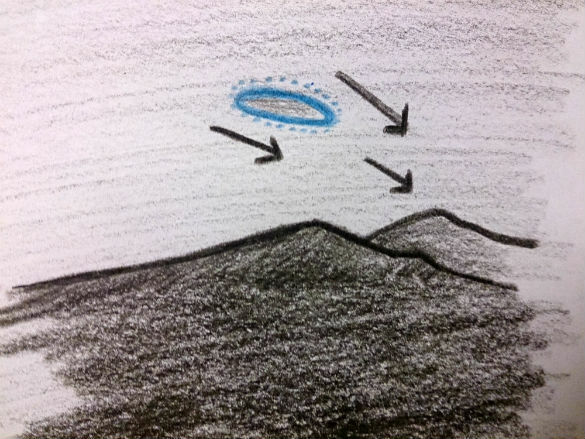 The vast majority of UFO sightings turn out to be mundane objects, but once in awhile there are sightings that are much more difficult to explain. MUFON conducts investigations on sightings submitted to their website, and if they share their conclusions, we will let you all know. Meanwhile, others will likely chime in and we will try to keep you up to date with any discoveries. Please feel free to share your thoughts on this sighting in the comments below.